Shalom & welcome to Israel! Upon your arrival at Ben Gurion International Airport, you will be meet by your RT&T Representative. of Mt. Carmel. Then on to your hotel for overnight. In the morning after breakfast, we will visit the city of Cana where Jesus performed His first Miracle, changing water into wine. Then on to Nazareth, the boyhood town of Jesus and home of Mary and Joseph. fishing boat on the Sea of Galilee, where Jesus calmed the storm and walked on the water. 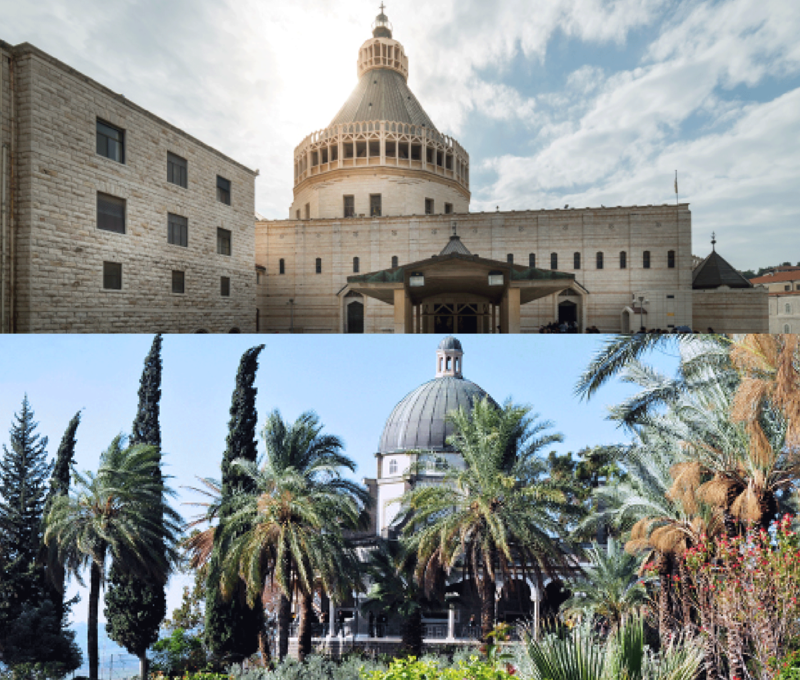 Visit Capernaum – the center of Jesus’ ministry after he left Nazareth, stop at Tabgha- the Church of the Multiplication of the Loaves and Fishes. We’ll make a brief halt at St. Peter’s house. This is believed to be the place where Jesus dined with His disciples. Today after breakfast we leave Galilee for Jerusalem. After a stop at Yardenit, the traditional baptismal site on the Jordan River we will continue to the lowest point on earth the Dead Sea. We will visit the ancient city of Jericho, believed to be the oldest city on earth and view from here Mt. Quarantal, where Jesus spent 40 days when Satan tried to tempt him. We will visit the Qumran caves, where the Dead Sea Scrolls were found. Make a brief stop at a private beach and take the opportunity to float in the salty buoyant water, rich in minerals (towels and swim dress necessary). 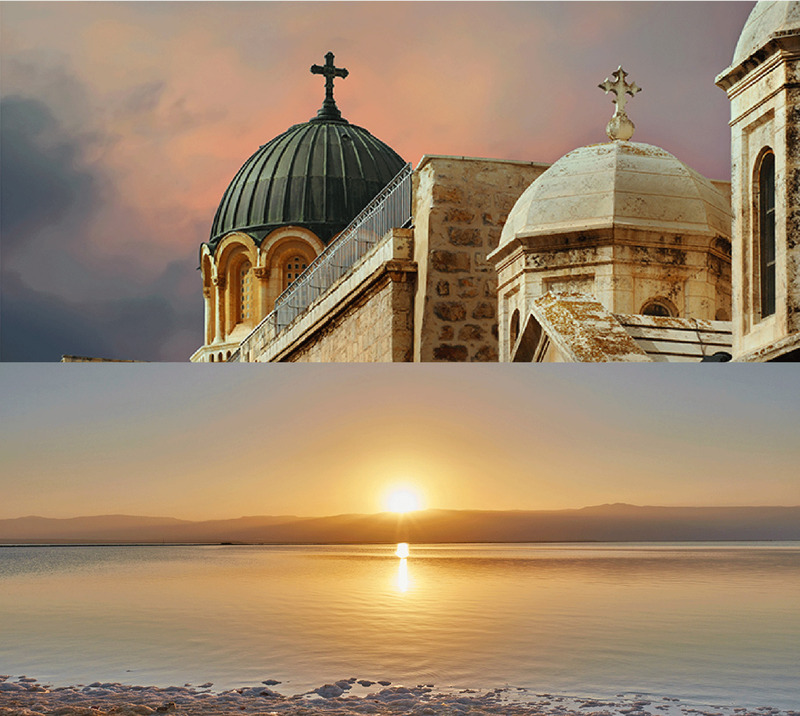 Today morning after breakfast, we will visit Ein Karem – the town of Judah and birthplace of John the Baptist. We then visit Mt Zion the cynical, the room for the last supper and King David’s Tomb. We also visit the Church of St. Peter Gallicantu the site where the High Priest imprisoned Jesus before he was turn over to the Romans and the church of Dormition. Then onto Bethlehem to visit Church of Nativity and the Manger Square. Later return to hotel for dinner and overnight. After breakfast check-out at the hotel and transfer for your departure flight to Ben Gurion Airport. Shalom & Goodbye we hope to welcome you soon back to Israel!